The flaw is located in a service called infosvr, which runs on Asuswrt-powered routers by default. 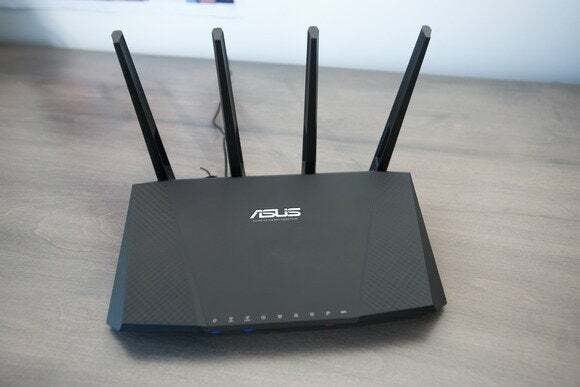 The service, which is used by a tool called the Asus Wireless Router Device Discovery Utility, listens to packets sent to the router’s LAN (local area network) interface over UDP broadcast port 9999. “This service runs with root privileges and contains an unauthenticated command execution vulnerability,” security researcher Joshua Drake, who found the vulnerability, said on his GitHub account. While attackers can’t exploit this flaw from the Internet, they can use it to gain control of routers if they first compromise a device connected to them or if they manage to connect to the local network in some other way. Any local computer infected with malware can therefore become a serious threat to a router that’s vulnerable to this attack. The simplest way to block potential exploits for this vulnerability is to create a firewall rule that blocks UDP port 9999 on the router, but unfortunately this cannot be done through the Web-based administration interface. Users will have to connect to their router via Telnet and type “iptables -I INPUT -p udp —dport 9999 -j DROP” without the quotes on the command line interface. The command sets up a firewall rule to block UDP port 9999, but it’s not persistent across reboots so the procedure needs to be repeated every time the router restarts. Eric Sauvageau, the maintainer of Asuswrt-Merlin, a popular custom firmware for Asus routers that is based on Asus’ unified Asuswrt firmware, suggested a persistent fix that involves using the non-volatile JFFS partition available on Asus routers.